Gingerbread people are fun and easy to make, and even more delicious to eat! Here’s a great recipe from Jamie Oliver and our child care centre near Parkmore that will ensure hours of fun for your child as well as plenty of lunchbox treats. Melt butter, sugar and syrup over low heat, stirring until all the sugar is dissolved. Add the dry ingredients, stirring to make a stiff dough. Cut the dough into two equal halves and place each half on the work surface on top of baking paper, rolling out until it’s about 5mm thick. Cut out your different shapes in the dough with about 2cm between each cut out. Lift the excess dough out, leaving the shapes on the paper. You can repeat this step with more baking paper to make more people. Lift the paper with the figures directly onto your baking trays and bake for 12 mins or until golden brown. Once cooled, they can be decorated by you and your kids. Using icing, stick on Smarties, Jelly Tots and other goodies to make them a creative and fun treat! Looking for a child care facility near Parkmore? Visit our loving play school today! At Doodlebugs Play School, we offer a safe, educational day care and crèche environment near Hurlingham for your baby or children from 18 months to 4 years old. Fully supervised by our qualified, loving staff, our professional child care ensures that your little one will have fun, learn and explore the world while giving you complete peace of mind. Please don’t hesitate to contact us for more information. Whether it’s the weekend, school holidays or just a quiet afternoon, craft activities can be a great boredom-busting and bonding session for you and your kids! Here are some ideas from our nursery school near Hurlingham. 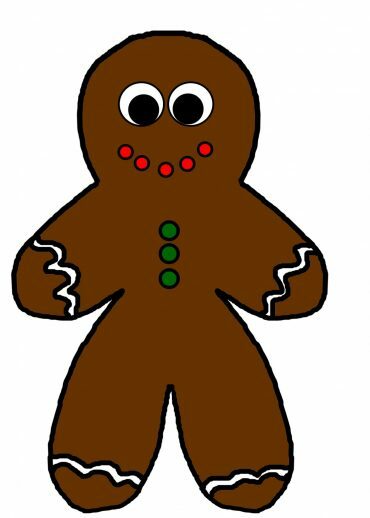 Baking: Making gingerbread people, decorating cookies and cupcakes or making coconut ice is a crafting activity that’s fun and delicious as well as teaching your child a few useful life skills in the kitchen. It’s best to set up a table filled with icing and decorations to keep your kids busy while you manage the hot oven, but try get them involved in as many stages as you can – from fetching ingredients and helping to stir the bowl to licking off the spoon, of course! A work of art: This combines two of every toddler’s favourite things – bright colours and making a mess! Get a big roll of butcher’s paper and put it on the ground. Mix up edible paints using plain yogurt and food colouring, and let them run wild. Encourage them to try different colours and shapes to bring in some creativity. You can also put the paint in a squeeze bottle for easier use. Potato stamps: If you’re feeling creative, potato stamps are a cheap and fun way to help your kids express their creative side. They’re easy to make and you can make all sorts of fun shapes like hearts, stars, fish, leaves and smiley faces. Separate paints into different colours in separate trays (a good use for polystyrene trays) and lay out sheets of paper – then let the stamping begin! 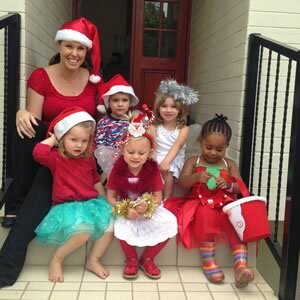 At Doodlebugs Play School, we offer a safe, educational play school, nursery school and day care environment near Hurlingham for your baby or children from 18 months to 4 years old. Fully supervised by our qualified, loving staff, our professional child care centre ensures that your little one will have fun, learn and explore the world while giving you complete peace of mind. Please don’t hesitate to contact us for more information.